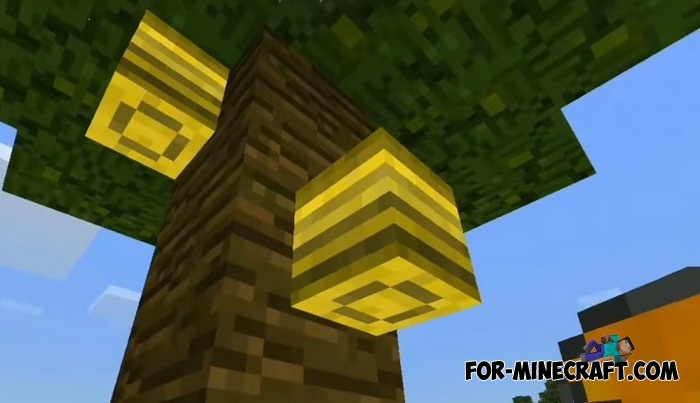 It is very strange that bees have not yet been added to Minecraft although this is a very common insect in nature. Bee addon will make the bees populate your world but like any other addon for MCBE, this one has a number of drawbacks if you consider it in terms of realism. Bees are spawned only in caves because they are a replacement for bats that inherit their behavior pattern. Honey can be found in hives if you throw a beehive into furnace and smelt it. 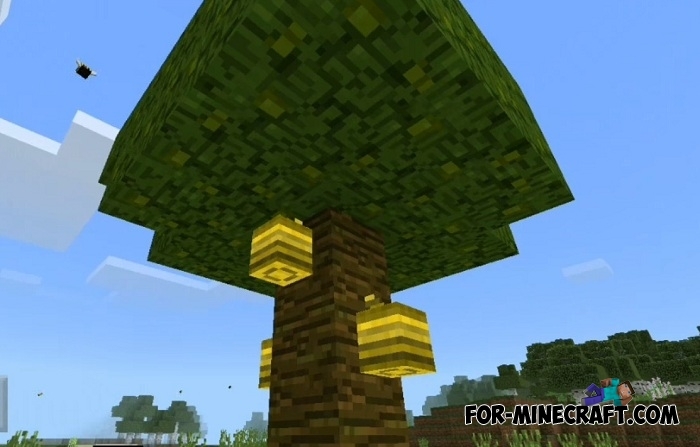 The hitch is that hives appear only on jungle trees, so you will have to look for a jungle biome in any case. If you are a little bit versed in Inner Core modding then pay attention to Forestry PE mod. It is a global bee mod affecting all aspects of beekeeping, beginning with the construction of beehives and the cultivation of bees and ending with the collection of honey and its processing. How to install Bee addon? 1. Download the file and open it using Minecraft. 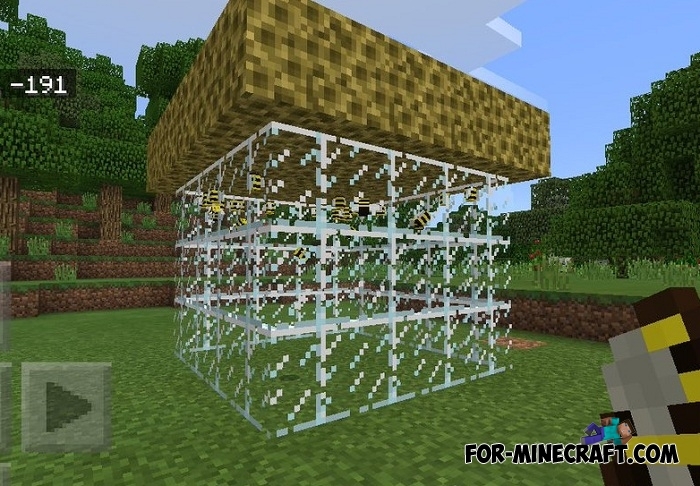 Honey Mod for Minecraft PE 0.10.5The mod adds a bee and now you can make an apiary at home in the world of Minecraft Pocket Edition.